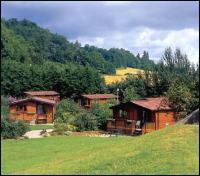 4 star holiday park set in a private and secluded 200 acre country estate. 4 miles from Edinburgh city. Award winning 3-bedroom caravans with shower, Freeview TV, DVD, kitchen including microwave. Woodland walks. Children's playground. Games room. Table tennis. Laundrette. Wi-fi access. Virtual tour on web site. Caravans (sleeps 4 - 6 in 2 bedrooms). Also log cabins and apartments. 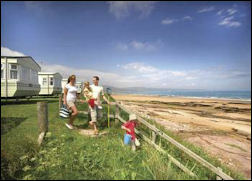 4 star holiday park on a beautiful beach with sea and mountain views. Near Dornoch. 40 miles north of Inverness. 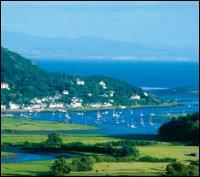 Local sights include castle, distilleries, boat trips, golf, fishing. Choice of caravans with 2 or 3 bedrooms, shower, kitchen, lounge, TV. 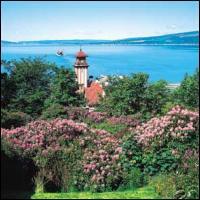 On site facilities include heated indoor pool, sauna, spa bath, solarium. 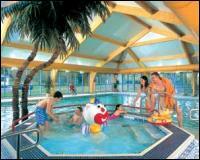 Children's clubs, adventure playground, basketball court, games room with pool table, crazy golf, tennis, nature trail. Restaurant, bar and fish and chip shop. Family entertainment is on offer at night. Mini supermarket. Launderette. 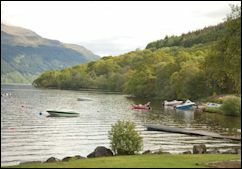 Choice of 2 or 3 bedroom caravans and pine lodges. Choice of caravans (all 12 ft wide) sleeping 4 - 6 - 8. 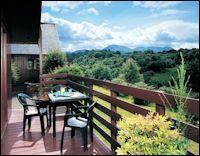 4 star lodge with 1 double and 2 twin rooms (sleeps 6) plus sauna, whirlpool bath and separate shower. Kitchen. Lounge and dining area with balcony. Attached to the impressive Drimsynie House Hotel. Facilities on site include: indoor & outdoor play areas for children, badminton, table tennis, snooker, bowling, ice skating, curling. Shop, serviced laundry, bars, restaurants. Maxi Million's Children's Club and AWOL Club for teenagers.